The Goods are one of Canada's premier musical families, having experiences success across two generations with the Good Brothers and the Sadies. Now, the music relatives have joined forces to form the Good Family. 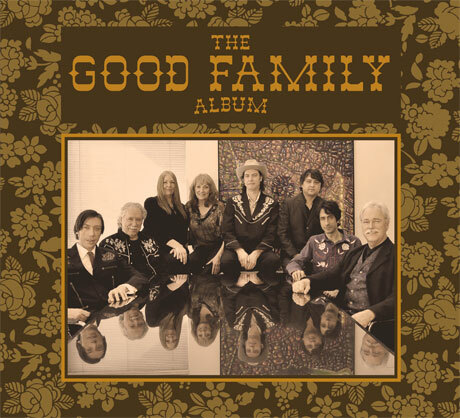 This supergroup will release The Good Family Album on April 30 through Latent Recordings. The Good Family features Bruce and Larry Good of the Good Brothers, and Bruce's children Travis and Dallas of the Sadies. They're joined by Margaret — who is Bruce's wife and Travis and Dallas' mother — and cousin/niece D'Arcy. These relatives are backed by the rhythm section of Sean Dean and Mike Belitsky from the Sadies. According to a press release, "Their debut album consists of country ballads, bluegrass, and folk rock all written and performed by the family." The Good Family Album features two songs written with Greg Keelor of Blue Rodeo, plus an archival performance from late guitarist Terry Clements that was recorded in 1978. All this was mixed by Michael Timmins of Cowboy Junkies. Scroll past the tracklist below to hear the twangy country rock song "Coal Black Hills."